Up until a few years ago, the idea of a NASCAR race being loaded with former Formula 1 stars would have been laughable. However, things have changed significantly in recent years and Sunday’s Sprint Cup race at Watkins Glen featured several former Formula 1 stars on the track. Not surprisingly, the road course suited many of these drivers well, starting at the top with the winner of the race. Juan Pablo Montoya claimed his second career Sprint Cup victory with a dominating performance on Sunday, taking over the lead from his Ganassi Earnhardt Racing teammate Jaime McMurray. 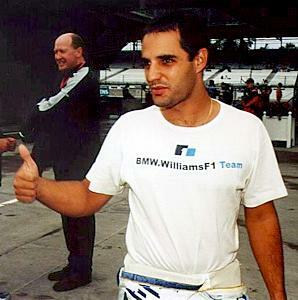 It was Montoya who sent shockwaves through the racing world by leaving Formula 1 for NASCAR in 2006 and he’s certainly been the most successful crossover driver. He made the series’ “Chase for the Championship” last season and has been agonizingly close to winning the Brickyard 400 at the Indianapolis Motor Speedway the past two seasons. The other former Formula 1 driver in the field for the Sprint Cup race didn’t fare as well. Scott Speed finished dead last in the field of 43 cars after pulling his Red Bull car to the garage with engine problems just 28 laps into the race. Speed has struggled to find consistency in NASCAR after leaving Formula 1 and missing out on an opportunity for a solid road course finish has to be a disappointment. Montoya and Speed weren’t the only former Formula 1 drivers in action at Watkins Glen over the weekend. Nelson Piquet Jr. was impressive in his debut in the NASCAR Nationwide Series as the former Renault driver finished seventh. That was one spot better than former Formula 1 champion Jacques Villenueve.